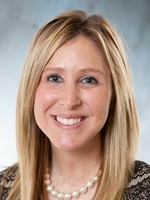 Tatum Geerdes taught nursing at Northwest Iowa Community College for four years and also served as a clinical nursing instructor for Iowa Central Community College and Mercy College of Health Sciences. She is a registered nurse who has worked in the surgical unit at the Mayo Clinic in Rochester, Minn., and in labor and delivery at the Mary Greeley Medical Center in Ames, Iowa. She earned a Bachelor of Science in Nursing degree from the University of Iowa, a Master of Science in Nursing from Allen College in Waterloo, Iowa, and a Doctor of Nursing Practice degree from American Sentinel University.